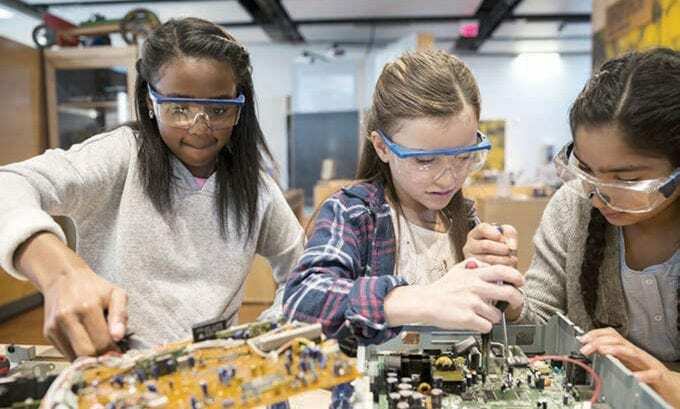 Barclays has published the results of a major new study – “A New Image for Manufacturing” – which surveyed 2000 16-23 year olds (‘Gen Z’) in order to understand how perceptions of manufacturing have changed, and 500 manufacturing decisionmakers to reveal the strategies businesses have implemented to recruit and upskill employees. Just six per cent of young people are considering a career in industry. Almost half (47%) say that this is because the career doesn’t appeal to them; 35% believe they don’t have the skills required for the role. The six per cent is further reduced in female applicants, with only three per cent of young women contemplating a career in manufacturing, compared to nine per cent of young men. Our study found that only a third (33%) of young people believe a career in manufacturing will provide them with advanced technology skills, despite advanced technology being a key growth driver for almost all UK manufacturers. Although a career in industry could fulfil their future job aspirations, young people seemingly remain unaware of the opportunities that the sector provides. This is particularly disappointing because the UK is a world-leader in the field of technology-driven innovation – something we clearly need to get far better at promoting. There are hundreds of examples which demonstrate exactly how vibrant and exciting UK-based innovation is, from start-ups to global giants, satellites to submarines. Below are just three. Uniti is a Swedish electric vehicle start-up aiming to meet the challenges of global mobility. In December 2017, Uniti unveiled the prototype for its 100% electric, affordable city car – the Uniti One. More recently, the business announced plans to establish the pilot production factory to manufacture the vehicle not in Sweden, but at Silverstone Park – home to the British Grand Prix, as well as the main hub for the Silverstone Technology Cluster. Uniti already employs a team of highly-skilled engineers at its R&D development centre in Northamptonshire. The location of its R&D centre offers a crucial insight into why Uniti chose to base its production in Britain. Uniti has already fostered partnerships with several local British companies, including KW Special Projects, Danecca and Unipart, as it seeks to leverage Britain’s “world-class capabilities in advanced materials and manufacturing”. 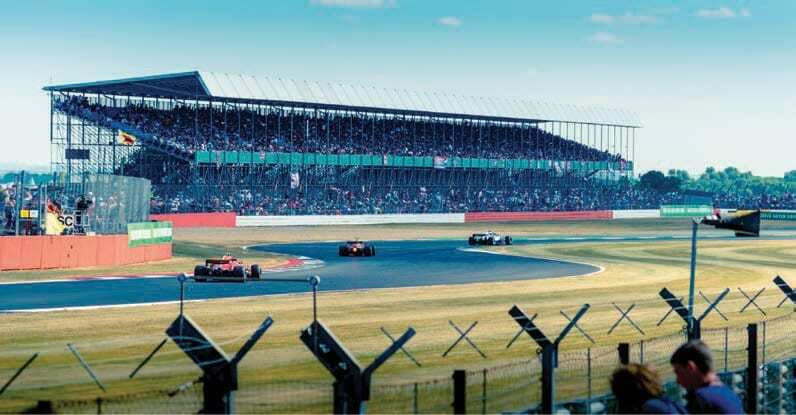 Talking of the British Grand Prix, the Silverstone Technology Cluster (STC) was established in early 2017 to support the high-tech activity taking place within a 60-minute radius of Silverstone, an area that covers around 4500 engineering, software and technology companies. Far from being solely focused on motorsports, these predominantly small and medium-sized businesses are involved in sectors ranging from aeronautics, medical devices and green energy, to marine, defence and electronics, to name but a handful. Such a high density of innovation has given the region the reputation of being a crucial “engine room of the UK economy”. Barclays is one of the founding members of the now 91-strong cluster, supporting its mission of enabling growth through bringing in new skills, considering debt or equity finance, and exploring potential mergers or acquisitions. On a broader, more national level, our network of world-leading Catapult centres is helping to transform Britain’s capability for innovation and helping to drive economic growth. Established around five years ago, each centre serves as a not-for-profit innovation hub for businesses to access the technical resources, expertise, equipment or contacts they need to develop their concepts for new products or services into reality. To date, the programme has delivered more than 4000 industry collaborations, over 1100 academic collaborations and supported almost 6000 small and medium-sized businesses. The seven High Value Manufacturing centres alone employ 2114 engineers, technicians, and operate £617m-worth of equipment and assets. The Milton Keynes based Transport Catapult Centre puts a further stamp on the “super hub” of technology and innovation being developed across the oxford Cambridge corridor, working alongside the STC. As much as the Catapults are UK-focused, the centres are also active in 24 countries around the world. Much of this activity is geared towards helping to develop markets for British ingenuity and attracting foreign direct investment (FDI) from international companies who – according to the Catapult’s latest impact report – increasingly view the UK as a leading innovation base for autonomous vehicles, medicines and smart cities, among other key areas. According to our recent study, young people aspire towards careers in digital, technology and IT as they believe these sectors allow them to attain the skills they most desire: decision-making skills, social skills, resource management skills, complex problem-solving skills and technical/digital skills. That’s discouraging, but there is a potential positive here. The skills and attributes young people seek in their career choices – opportunities to progress, good earnings, a chance to make a difference to society – might lead them naturally to manufacturing, if only they were aware. Generating that awareness will be one of the true tests of 2019 and beyond. It was great to hear Pim van Baarsen, CEO of STC, explain how they see education as a critical supplier to their business, and therefore look to work closer with the “supply chain”. They have developed a pilot programme including “speed presentations” and “open days” with local schools and colleges to help raise awareness and understanding of manufacturing and the companies at STC. And it’s not just the STC that are working to change the image and understanding of the Industry. 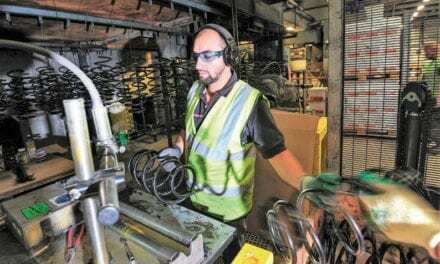 Many manufacturers have already adopted various strategies, including launching apprenticeship and graduate schemes, forging partnerships with local education providers and promoting their business via social media. At the same time, however, many have not. We look forward to seeing many of you at Barclays’ National Manufacturing Conference in 2019, which offers a full day’s worth of insight from speakers across industry, education and government.